Our cider is pressed on an old-fashioned rack and cloth press, and we make it all year long so it is always fresh. We use different combinations of apple varieties, giving each batch a unique flavor and character. Our cider is minimally processed – it’s ultraviolet-light treated instead of heat-pasteurized. 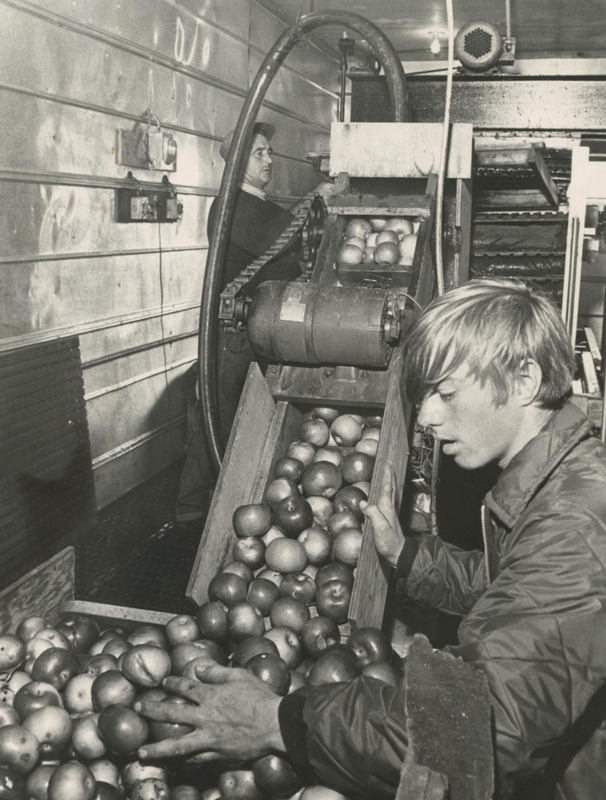 For more than 50 years, one single press has made all the cider at Golden Harvest Farms. Originally built for local farmer Eliott Smith, the press was already famous when it was relocated to the Roadstand in the 1960s. Except for a few modifications, the press still operates in the same configuration. On a busy day it can turn out up to 2,000 gallons of cider. 3) pressing layers of pomace through cloth in a vertical hydraulic press. First, the apples are tipped gently into a tank of water. Then they travel up a conveyor belt to a sorting bin where any leaves are removed by hand. Next, the apples go up another conveyor belt and drop into a 3450 rpm grinder, making a loud, screeching noise that can be heard for quite a distance. The pomace is then pumped through a hose to the press, where the trickiest part of the process happens. The press operator lays a rough, burlap cloth over a 32” square stainless steel frame, then moves the hose in slow, sweeping motions to form a layer of pomace about four inches thick. The flaps of the cloth are then folded over the top of the pomace layer, and a thin plastic separator is placed on top. The process is repeated until a stack of nine or ten layers has been built. The stack is rolled under the press, which slowly applies 2,300 lbs. of hydraulic pressure and squeezes the layers of pomace together. The cider passes through the cloth and drips down to a collecting tank underneath. It then gets pumped through a filter into refrigerated storage tanks. 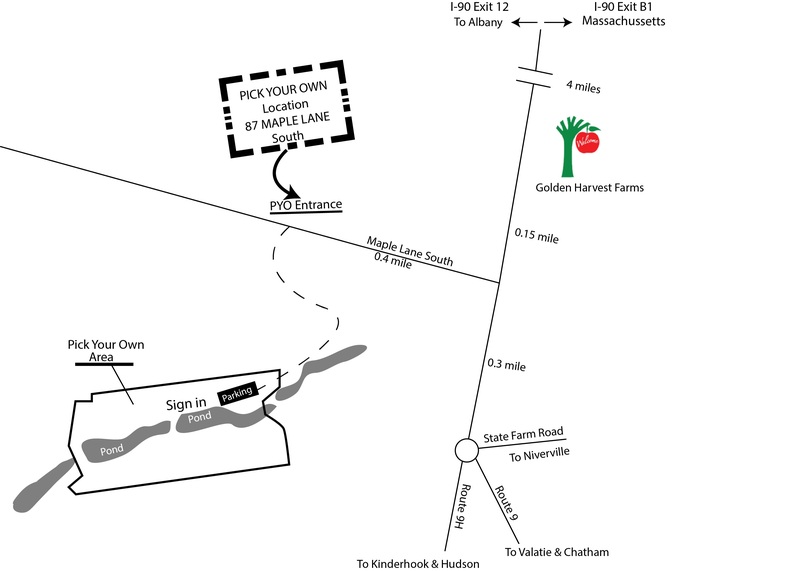 Our cider mill is managed by Cornelius Murray, who is also our orchard manager. Cornelius is our most skilled cider press operator, but his real gift is for selecting and mixing apple varieties to ensure that each batch has a delicious combination of sweet and tart flavors. Click on the video below to see how Cornelius and his team make cider using the same hands-on approach that Golden Harvest has used for decades.